FG will revoke licenses of some oil refineries – Kachikwu – Royal Times of Nigeria. 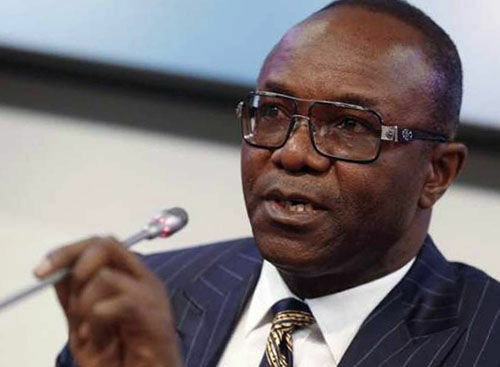 The minister of state for petroleum, Dr. Ibe Kachikwu says the Federal Government will withdraw licenses of private oil refineries that are yet to be utilised. These licenses were given to some individuals and private organisations licences to build refineries by the administration of former President Olusegun Obasanjo, but only Aliko Dangote put his to use. Kachikwu said this at a media briefing on the sidelines of the ongoing annual Offshore Technology Conference in Houston, US. The minister said he had discussed with the Department of Petroleum Resources (DPR) on the issue of revoking some licences. He said; “I have spoken with DPR on the matter. Those who have not been able to move forward will have their licences withdrawn,”. “This decision was necessary as the nation’s existing refineries, which had a combined capacity of 446,000 barrels per day (bpd), were grossly inadequate to meet national demand”. “My outlook for the year for the sector was to have a robust relation with investors to increase production of crude to 2.5 million bpd and then to 3 million bpd”.